Check out the “News on the Mountain” tab or click above. 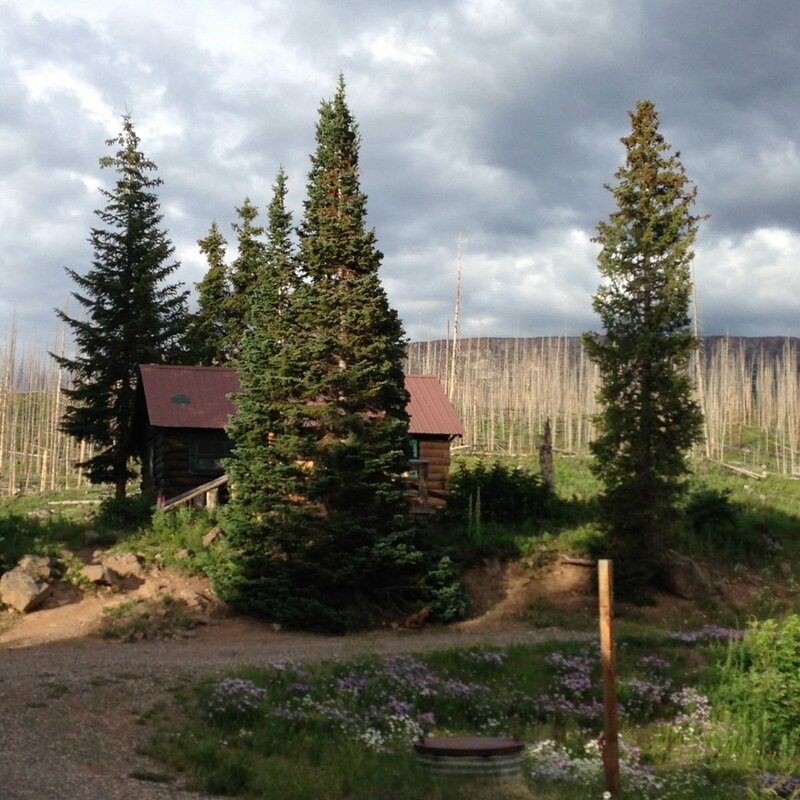 A place to recharge and reconnect with what really matters— a cold beer, warm fire, delicious Colorado home cooking, and more than a few fish tales. More to do than you can shake a stick at. From the moment you arrive at Trappers Lake Lodge, you will have access to a rarified territory. Let our knowledgeable staff help you make the most of your stay. Rent a row boat, canoe or paddle board and cruise your way across the shimmering water of Trappers Lake, or be a bit more adventurous and arrange an overnight pack trip to the top of the Flat Tops where an unmatched cache of fishable waters and sweeping views awaits you. Make your way back to the lodge after an invigorating day of exploration and enjoy a comforting home cooked meal. 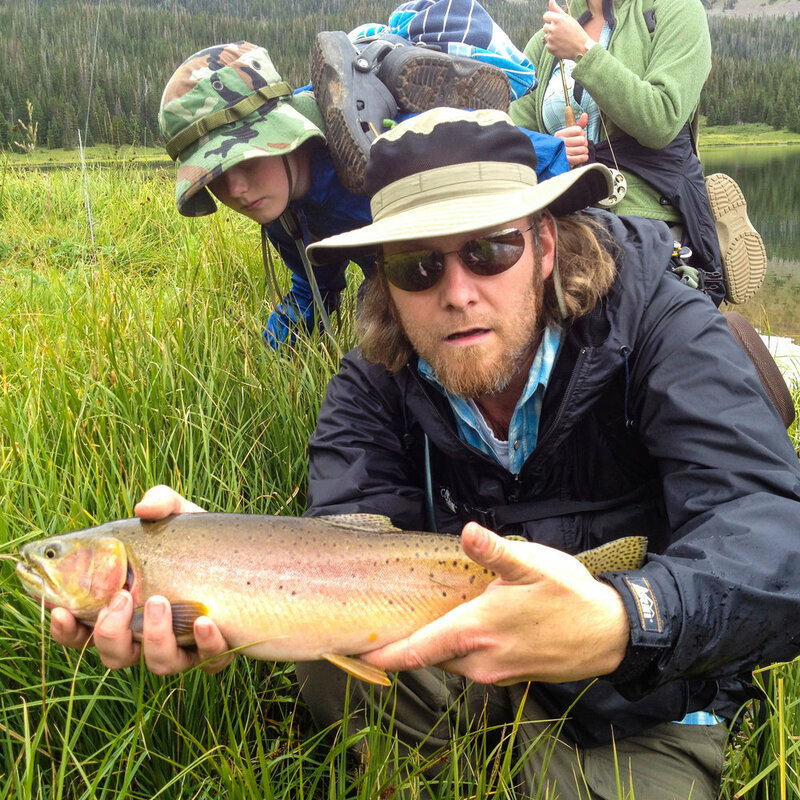 Spend your day fishing for native Colorado River Cutthroat trout in the lake and streams. Soak in the beauty of the flora and fauna while on foot or horseback, get a unique perspective of the spectacular Flat Tops Wilderness while floating on the lake. The possibility of a great time is guaranteed. This is a place where you will find your smartphone useless, except to take a photo or twenty. Here, nature is a muse who will beguile you and inspire you, and your former life will seem like a distant past. 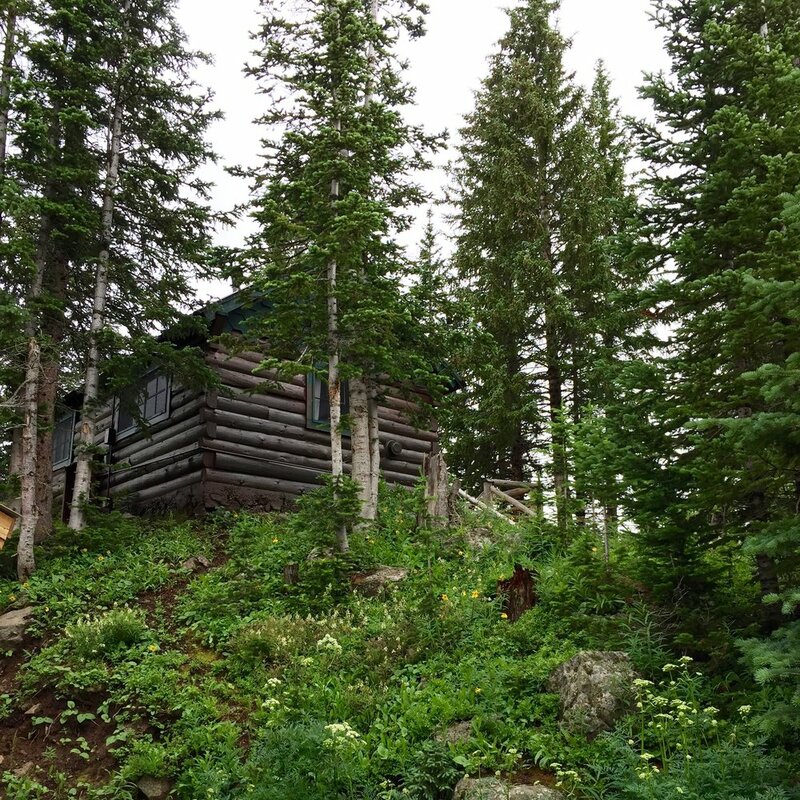 You always wanted a cabin in the woods. It's everything you need, and nothing you don't. Our cabins are charming and rustic. Some have been here longer than you have been alive and some are newer. They all have gas heaters for warmth. There is no running water but there is electricity. 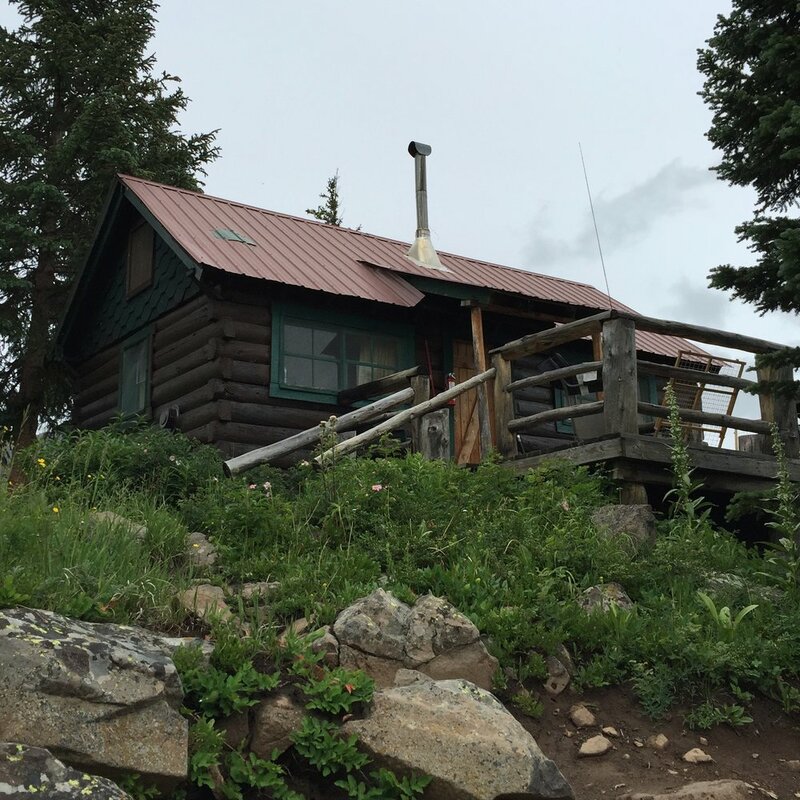 Prices range from $75 for a cabin that sleeps two, to $165 a night for one that sleeps 8. For more information select "our cabins" below. The bathhouse is centrally located. It is comfortable and clean, and a welcome respite after a long day in the wilderness. Cabin guests have full use of the private showers stocked with the essentials: towels, soap, shampoo/conditioner, hair dryers. The resort gets its electricity from a generator that runs from 7 am until 9:30 pm. After that its lights out, with only the sea of stars and moon to light your way. Be sure to bring lanterns and head lamps and enjoy some time well spent around the camp fire.